A Theology of Children is a new 24-page booklet aimed at supporting and strengthening parents, grandparents, and caregivers with strategies for non-physical discipline of children within a theological context. You can download A Theology of Children for free. 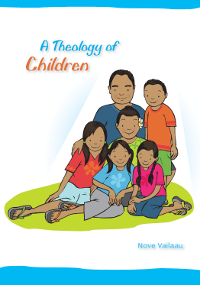 A Theology of Children was produced with the support of the Ministry of Social Development initiative SKIP (Strategies with Kids/ Information for Parents), and written by Reverend Nove Vailaau, who is very passionate about clarifying the issue of physical discipline in Christian theology. It also has an forward by Bishop Richard Randerson and a summary by Dr Elizabeth Clements. The booklet has a broad perspective, but also focuses on the Pacific peoples of New Zealand. It provides an opportunity for discussion about parenting practices in Pacific communities and within New Zealand in general. A Theology of Children aims to help guide parents and caregivers through the six principles of effective discipline: love and warmth, talking and listening, guidance and understanding, limits and boundaries, consistency and consequences, and a structured and secure world. Download A Theology of Children. The Campaign for Action on Family Violence has just published an online book, Real People Real Stories, telling eight true stories in the first person by people who have experienced family violence. These stories are intended to help others who have suffered from family violence and to help New Zealanders understand the impact of family violence on individuals, their families and their communities. We know that children are damaged by violence in the home – whether they see it, hear it or just know about it. It has been proven that the brain development of preschoolers is profoundly inhibited by exposure to violence in the home. In New Zealand each year 14 women, 10 children and six men die as a result of family violence. Many thousands more are scarred physically and emotionally. Family violence thrives in secrecy – so the more we talk about it and understand it, the more likely we are to prevent it. And these stories give hope that lives can be healed and that the cycle of violence can be broken. They are heartbreaking stories describing in sometimes graphic detail how it feels to be trapped in families where violence is the norm, and the lasting effects on the young people involved. If you need any help in understanding why it should continue to be illegal to hit your kids, read this book.